Reservations by a majority of Malawians that Buleya Lule-- a suspect who allegedly offered to 'buy' a 14-year-old Dedza boy with albinism for K800 000 last week and died in police custody Thursday--did not succumb to natural death have been vindicated by results of a preliminary autopsy which indicates foul play. An autoposy report filed by South African Jorge Kirk revealed Buleya sustained 3 main injuries which caused his death. Kirk was assisted by local histopathologists Charles Dzamalala and Tamiwe Tomika. According to their report, a head injury caused by hitting pressure from a cyclindrical metal rod was experienced. "Bleeding in the brain was observed," the experts say in the report. "A tummy side injury was caused by electrocution." The electrocution is singled out as the cause of Buleya's death. "Injuries on buttocks is yet to be analysed," the experts say. Sainess Kalekeni, step-father of missing 14-year-old Goodson Makanjira told court, that Buleya tricked them into surrendering the boy to him with an offer of K800 000. "I was enticed by a promise that I would get K800 000. I was told that a market is already there and I would get the money instantly which is not the case," Kalekeni said on Wednesday, before Lilongwe Principal Magistrate Viva Nyimba. But before Buleya and others could return to court Friday to answer the case of 'abduction with intent to murder', he died Thursday in enigmatic circumstances. Calls were rife through various platforms, heightened by the Association of Persons with Albinism in Malawi (APAM) lawyer Khwima Nchizi who sought an injuction restraining anyone from burying Buleya's body until an independent autopsy was done. Nchizi had argued that letting the body go without the exercise would mean "losing useful information" that would lead to busting the market for albino body parts. 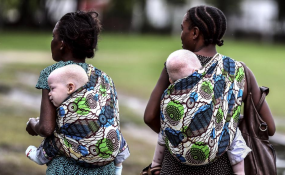 Meanwhile, APAM says it will proceed with a three day vigil at Kamuzu Palace from March 3 to press the government step up security for people with albinism.